You can now rent Fundamentals of Physics Extended online from our marketplace, with the cheapest prices available today. This 9th edition has been revised by authors David Halliday, Robert Resnick and Jearl Walker and was published in 2010 by Wiley. If you want to get the fundamentals of this subject clear in your mind, do it today with Fundamentals of Physics Extended for cheap prices. 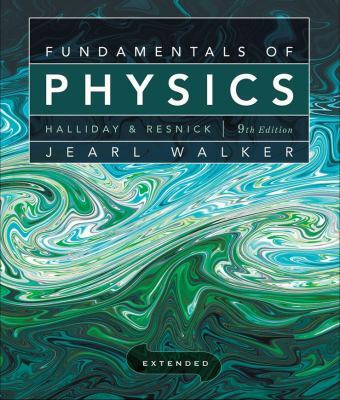 Previously owned copies are now available to buy or rent, and you can sell your Fundamentals of Physics Extended book back later if you no longer need it. You get the best of all worlds on our website. Halliday, David is the author of 'Fundamentals of Physics Extended', published 2010 under ISBN 9780470469088 and ISBN 0470469080. Loading marketplace prices 20 copies from $47.00 How does the rental process work?